Vice President of India, Dr. Hamid Ansari has said that the launch of Turkmenistan-Afghanistan-Pakistan-India (TAPI) Gas Pipeline Project marks the first step towards fulfilling the vision of an economically integrated region stretching from the Bay of Bengal to the Caspian Sea. 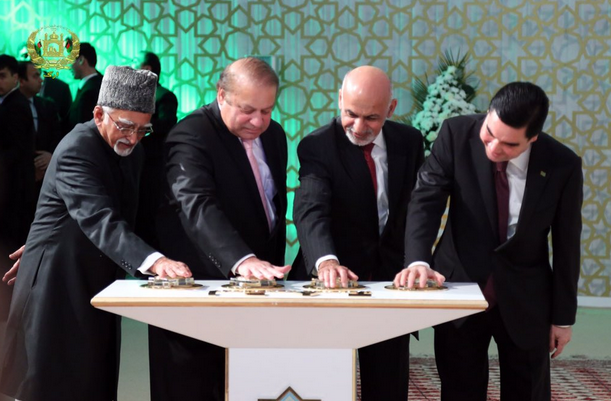 He was addressing at the Groundbreaking Ceremony of the TAPI Gas Pipeline Project in Mary, Turkmenistan in the presence of the President of Turkmenistan, Mr. Gurbanguly Berdimohamedov, the President of Afghanistan, Mr. Ashraf Ghani, the Prime Minister of Pakistan, Mr. Nawaz Sharif and other dignitaries. Dr. Ansari said that we must be aware of the challenges that lie ahead and must work together to keep away the negative forces inimical to the success of the project. We must recognise that the forces of violence and disruption can no longer be allowed to threaten the quest for economic development and security of our people, he added.